This is also time of the year when all the people star looking for where are they going to summer vacations. 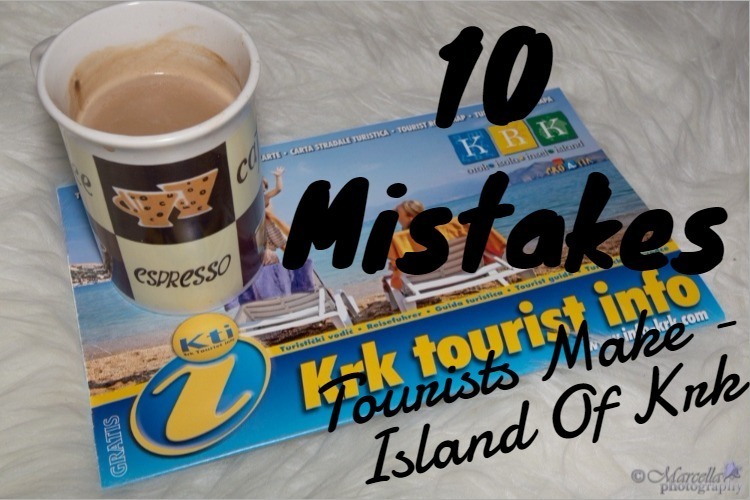 After, working in tourism for a 10 seasons I want to share with you 10 common mistakes that people make when they travel to Island of Krk. I lived most of my life on the Island of Krk and I have had seen a lot. Tourism is my major and I love working with people and help them to have a great time on the island. Most of the tourist arriving on the vacations with a car. For me this my favorite way to go on a vacation because you have freedom to choose when you want to make break for coffee / lunch or something else. Island of Krk is connected with a mainland with the bridge. The most confusing part is when you are coming with a plane on the airport Rijeka. First shook to the people is when they get information you are on the island not on the mainland. Airport is a bit in retro style and it's small, there is no way you can get lost there. But, Airport Rijeka is situated on the Island of Krk. You can get by bus to the Rijeka or with a taxi. Have on your mind if you are coming in a small group of 4-6 people that maybe taxi is a better option. Like I have said in the previous paragraph. Public transportation like buses do not go all the time in every direction. On some part of island there is only two in a day. The tickets are not cheap in my opinion so be aware of that too, especially when you are in a group. Last season, I had worked in one luxury hotel which is situated in part of the island where is well-known by healthy mud. Often, tourist have looked there for the clear sea. This has inspires me to say Croatia has very clear water only Island of Krk has minimum five places with a blue flag beaches ( clear sea). The majority of the beaches is pebble beaches but some of them have sand when you go into the sea. If you are looking for a sandy beach, you need to go with a car on the beach St. Marko ( Vrbnik). The good thing about the island is if you are with a car, you can go everywhere and everything is pretty close. In case, you have booked the accommodation in Baška then you would have approx .40 min of the driving to the bridge if it's not weekended and the pick of the season. According to the previous paragraph you can see that there is not a possibility to party like on Ibiza. In case, you are looking for that kind of vacation the ideal place for that is Novalja. Or you can look for Music Fest in Split, Umag or Zagreb. We have like a beach bars but it never goes crazy. This is highly important note if you need to catch a plane and if you are going by taxi, in case that the driver suggests to you that it would be better to go in a bit earlier I'd listen to them. It has happened before, in the pick of the season and there is a mass of outgoing guests and if you are stuck you will be there maybe for hours. If you are looking for, big shopping malls. You will find those in town Rijeka. The names you are looking for is Tower center Rijeka and ZTC.